Progress Lighting Low voltage new construction recessed housing features notched housing and full wrap-around plaster frame. It accommodates one 50-Watt MR16 incandescent lamp. Lamp has voltage rating of 12-Volts. It has a dimension of 10-3/4-Inch x 7-7/8-Inch x 5-1/2-Inch. 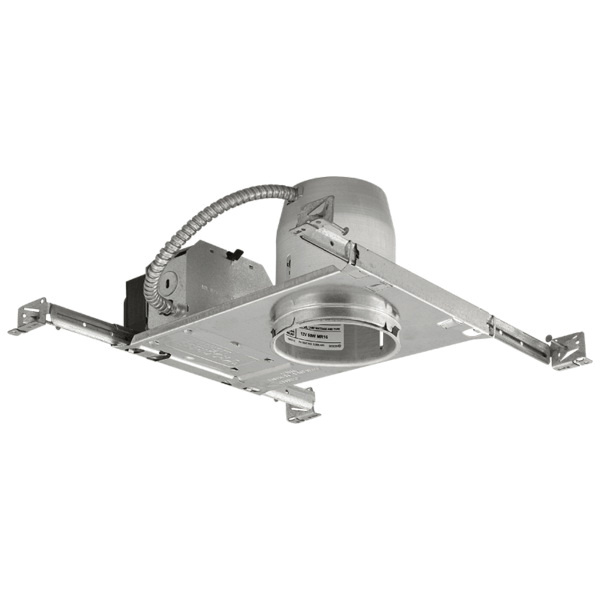 It is ideal for non-insulated ceiling. Recessed housing is UL/cUL listed.